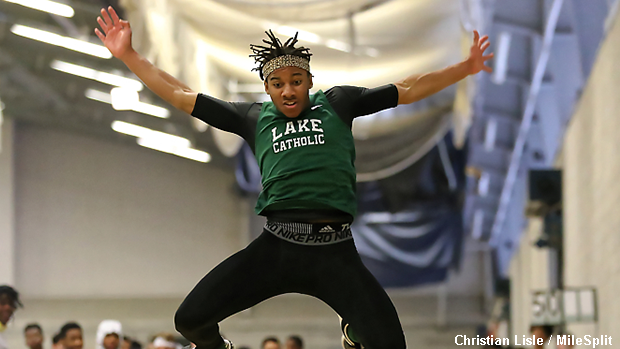 Lake Catholic's Del'Mario Hairston will compete in the long jump and 60m events. Ohio's athletes are gearing up for the second day of action at New Balance Nationals Indoor which is taking place at the Armory Track and Field Center. NBN is the premier meet on the indoor calendar, as elites from throughout the nation make their way to New York City in search of the best competition that the country can provide. Continue reading about some of the Ohioans who will be competing on Saturday. Included is the event(s) they're participating in along with their indoor pr's.